With cannabis legalization reaching the tipping point, it’s a good moment to think about careers in the industry. It doesn’t need to be growing or selling - there are many other opportunities sprouting up. Here in Europe we are still largely suffering from the consequences of an utterly failed drug policy. While some places have seen a cannabis industry emerge - like the Netherlands and Spain - the size of the market and the opportunity is nowhere near that of Colorado or Washington. While selling cannabis is tolerated under Dutch law, most every other cannabis related product or service remains illegal - even such necessities as growing the weed for the coffee shops. This is in stark contrast to Colorado, where the industry has been liberated from the shackles of the law. What is going on particularly in Colorado now is the conversion of the small scale home grown project into a full fledged industry. 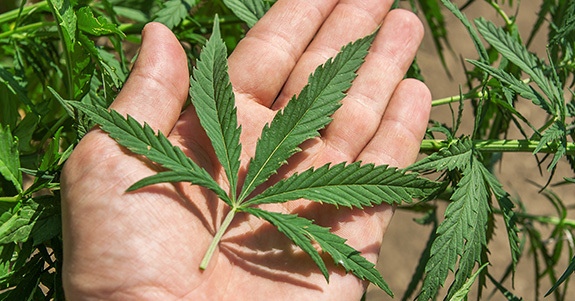 It’s the dream of many cannabis enthusiasts to work with the plant in some way or another. The thing that comes to mind first is usually either growing or selling it, but there are literally hundreds of new opportunities emerging in a cannabis economy. This is most likely not what you were considering your dream job, but it can be a great place to get to know the playing field and meet people. Specially in places where cannabis is still illegal, this remains one of the few legal opportunities to pursue. Working in non-profit organisations, non-government organisations and charities can be a great way to get your feet wet. With most of these, the work starts as voluntary, and can be so for some years. Being present within a cannabis related organisation like ENCOD.org can open up doors, help develop contacts, and generally you decide in which direction to move on within the cannabis sector. Obviously, full-time voluntary work is not a practical option for anyone who needs to put food on the table. While some jobs in this area can be paid, and even well paid, volunteering for a while in a NGO can lead to more opportunity. Anyone who worked with cannabis knows the joy the plant can bring. Unfortunately, unless you are willing to break the law, you have to live in country where medical or recreational cannabis has been legalized. Quality Control (More lab work than sampling yourself, unfortunately). 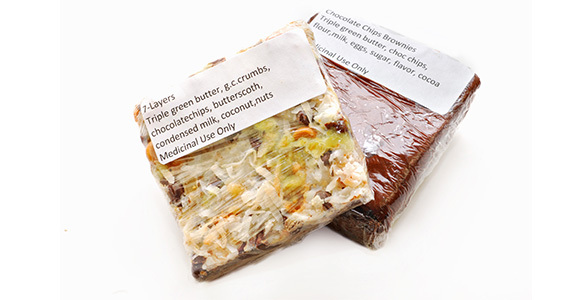 Don’t underestimate the popularity of cannabis edibles. In Colorado anything from chewing gum to gummy bears is available now. Equally, concentrates are an entire sub-market. Think BHO, hash, tinctures, oils, etc. An interesting development that occurred in most places that legalized cannabis was that of increased cannabis tourism. It happened in the Netherlands, and it is happening in Colorado right now. As public smoking is not legal in Colorado, one company from the state is now offering cannabis tours in bus. Why not? Business seems to be running well. One thing is for certain, in places where recreational use of cannabis is tolerated and decriminalized, there will always be a tourist trade; and in places where the recreational use of cannabis is fully legalized, 420 tourism will grow – potentially presenting all manner of opportunities. Secondary cannabis industries are organisations and companies that do not actually get directly involved with the plant itself, but offer services and or products that are used for cannabis cultivation – for example paraphernalia companies, cannabis magazines and fairs, cannabis mobile apps, festivals, etc. Much like outlined in the activist category, the job roles that need filling can be extremely varied, and all allow you to get involved in the cannabis industry with the right company. As the cannabis industry grows, so do all of the support services that surround it. These have recently been in the form of social media websites designed specifically for cannabis users and home cultivators, as well as other websites and forums that offer useful tools. A fine example of this is the website weedmaps.com. It was set up by one smart entrepreneur who saw a market niche and seized it. The service is basically google maps, a weed directory and a review site all rolled into one. 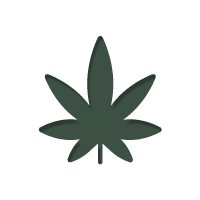 It allows users to put in their post or zip code and find out where all of the local dispensaries, coffeeshops and doctors are around them, and gives user reviews for each. It is an extremely handy tool, especially in the US where it is most utilised by medical marijuana patients. Of course, there are many other fine examples and different ways of offering a service or product - for example, vaporizers. People are moving away from smoking and going towards edibles and vaporizers. Technology companies are working hard to bring vaporizers out of their infancy - a huge opportunity. There are more direct services as well, for example, cannabis social clubs. They are on the rise, and although they are non-profit, they run on a core of paid full-time staff. A cannabis social club is basically a group of likeminded people who come together to grow and distribute weed privately amongst themselves, often for medical purposes. They are only legal in a few places, but they are beginning to spring up all over the place, and actively take part in drug reform. Learn how to start one up yourself here. As you can see, there are vast, varied and ample opportunities to be had in the ever growing cannabis market. The cannabis economy has already arrived in many places, and many are to come soon. Now is a good moment to think about the opportunities that are going to open up in the next few years, and how to position yourself best. What would your ideal cannabis job be? Have an experience of getting into the industry yourself? Struggling to know where to look? Tell us all about it in the comments below!